John Kinney was the leader of the John Kinney Gang, who were also known as the Rio Grande Posse of New Mexico. Kinney, himself, was known as the “King Pin of Cattle Rustlers”, as he and his gang primarily rustled cattle Dona Ana County, but also committed acts of robbery. When they weren’t busy with outlaw crimes, they made themselves available as hired gunmen. Kinney was born in about 1847 in Hampshire County, Massachusetts and the family later moved to Iowa. He enlisted in the army in 1865, obtaining the rank of sergeant before he mustered out in 1873. Afterward, he settled in Dona Ana County, New Mexico and soon organized the Kinney Gang. Jesse Evans was one of the early members and on December 31, 1875, Kinney, Evans, Jim McDaniels, and Pony Diehl entered a saloon in Las Cruces, New Mexico, where they became involved in a brawl with Cavalry soldiers from Fort Seldon. 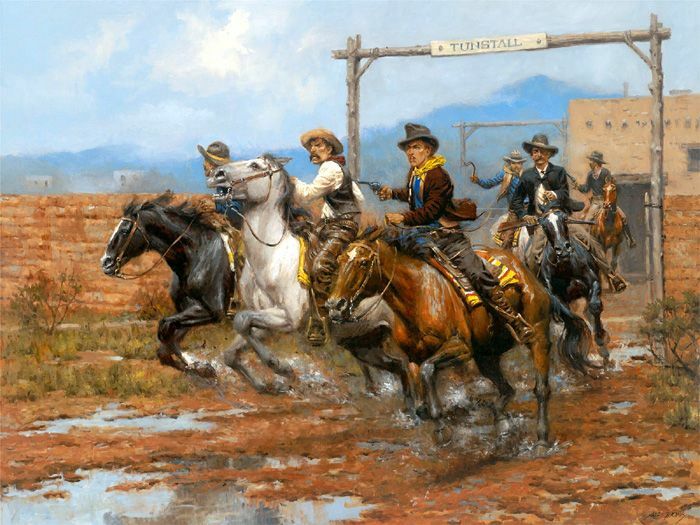 In the fight, the outlaws were beaten badly and thrown out of the saloon. Afterward, the outlaws returned to the saloon and opened fire, killing two soldiers and one civilian, and wounding two other soldiers and one civilian. Not long afterward, Evans broke away from the gang to form the Jesse Evans Gang. 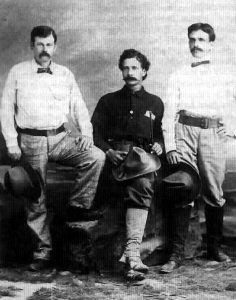 Upon their arrival in Lincoln County, Kinney was deputized by Sheriff George Peppin to counter Billy the Kid and his “Regulators“. With his gang acting as a posse, Kinney and his men were given the freedom to run rampant in the county. At the same time, former Kinney Gang member Jesse Evans and his gang were also were enlisted by Murphy-Dolan faction. When the Lincoln County War was over, most of the gang members returned to Dona Ana County and their profitable cattle rustling activities. However, a few of them remained and joined up with another gang called Selman’s Scouts. In 1883 Kinney was arrested for cattle rustling and sentenced to serve five years in the Leavenworth, Kansas State Penitentiary. By the time he was paroled in February 1886, his men had all scattered. He returned to Arizona where he worked at a feedlot in Kingman for a time. However, when the Spanish-American War broke out, he joined up and was serving in Cuba in the Spring of 1898. Afterward, he worked as a successful as a miner in Chaparral Gulch, Arizona before retiring to Prescott, Arizona. He died there of natural causes on August 25, 1919.